My name is Kimberly and I’m a green smoothie junkie. Smoothies make for a delicious meal and/or snack. Truth be told, they help balance out the copious amounts of vegan cheese I consume. When Naked Nutrition reached out and asked if I’d like to sample their vegan protein powders, I couldn’t resist. While I typically sprinkle a protein powder into my smoothie making, I’m never a big fan. There’s usually an aftertaste, a horrible flavoring (yuck, vanilla), or it somehow alters the overall consistency of the smoothie. 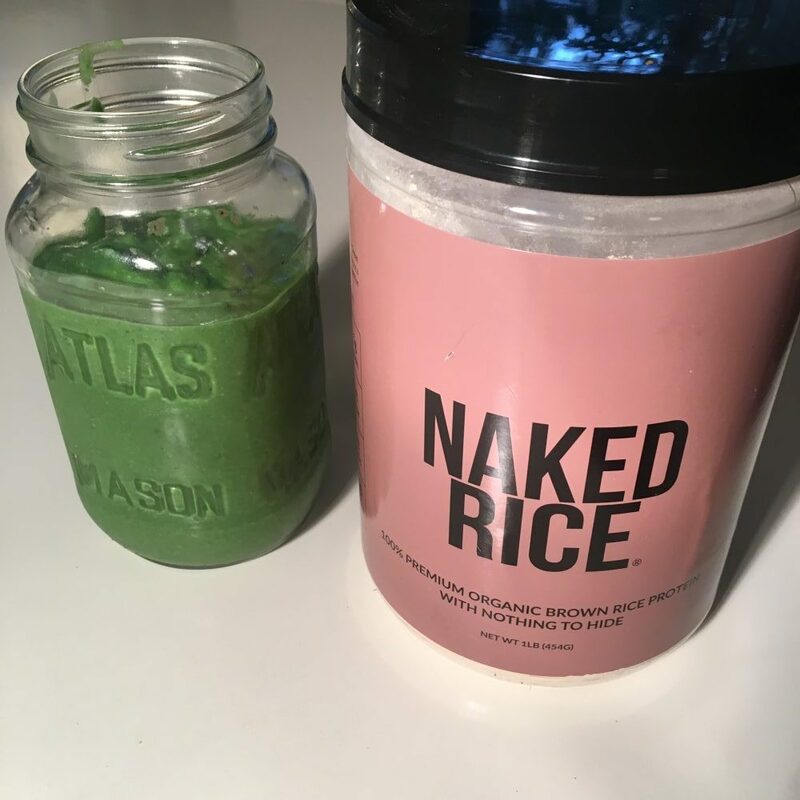 I tried Naked’s Pea Protein (featured in this video) and their Rice Protein (used in today’s smoothie) and love both. First, their packaging is darling. I know, I know, don’t judge a book by its cover, but I love the simplicity. Next, there’s no taste to the protein powder and the consistency is super fine so there’s no grainy nuggets found inside my smoothie. Basically, I’m a new fan. When choosing a protein powder to add to your smoothies, skip the dairy options as there are so many wonderful plant-based, protein-elicious options out there. 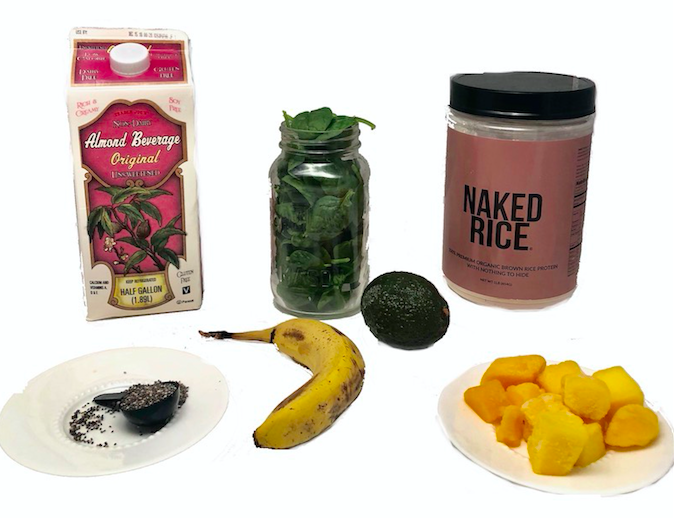 After whipping it up in a blender, I pour it into a Mason jar and head into the office with a nutrient dense treat . . . that just happens to be bright green. P.S. Have you joined our TDJ Eat Plants Facebook Group?